"This attempt by Philip Morris International to paint itself as a public health partner is manipulative and dangerous. It is a new twist out of the tobacco industry’s deadly playbook, but nobody should be fooled." After analysing 113 samples of pancreatic cancer tissue, they found 86 were infected with types of bacteria that could make the long form of the enzyme. These included very common bacteria such as E. coli and salmonella. The Halozyme ENHANZE technology is based on a proprietary recombinant human hyaluronidase enzyme (rHuPH20) that temporarily degrades hyaluronan -- a glycosaminoglycan or chain of natural sugars in the body -- to aid in the dispersion and absorption of other injected therapeutic drugs. Medicines like Opdivo must be infused into a vein, an often lengthly process. The Halozyme aims to make it possible to give these drugs as a quick shot under the skin, known as subcutaenous injection. This new program comes out of the labs of Oliver Press and Brian Till at the Hutch. They’ve been working on a CAR-T that can express a CD20-specific chimeric antigen receptor. Now Roche’s Phase Ib and a Phase Ib/II in relapsed/refractory multiple myeloma and relapsed/refractory follicular lymphoma will stop enrolling new patients, though the volunteers who have already signed up can continue. Shares in Bavarian Nordic fell more than 50% following the news, wiping out gains made in 2015 when the Bristol-Myers deal dialed up investor expectations for the therapeutic cancer vaccine. Despite a bruising legacy of failure, biopharma continues to take expensive shots at this approach to fighting cancer, and investors keep following them off the cliff. The latest victims are investors in Bavarian Nordic A/S. Details won’t be available until they’re presented at an upcoming medical conference. But the results were good enough to prompt conversations with regulators about a new approval in all patients with castration-resistant prostate cancer (CPRC). Developed by Bayer, copanlisib is the only approved PI3K inhibitor with inhibitory activity predominantly against PI3K-alpha and PI3K-delta isoforms expressed in malignant B cells. Mvasi, a biosimilar to the cancer drug Avastin, is approved for certain colorectal, lung, brain, kidney and cervical cancers. 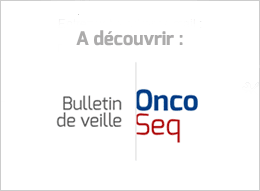 The ZEJULA marketing authorization application is supported by data from the ENGOT-OV16/NOVA trial, a double-blind, placebo-controlled, international Phase 3 study of ZEJULA that enrolled 553 patients with recurrent ovarian cancer who had achieved either a PR or CR to their most recent platinum-based chemotherapy. Sales of Zejula came in at $26 million for the quarter. Analysts are predicting the drug’s sales will grow to $1.9 billion annually by 2022. Today’s approval of Aliqopa was based on data from a single-arm trial that included 104 patients with follicular B-cell non-Hodgkin lymphoma who had relapsed disease following at least two prior treatments. The CHMP recommended granting marketing authorisations for two cancer medicines: Zejula (niraparib), an orphan designated medicine intended for the treatment of ovarian cancer, and Tookad (padeliporfin), for the treatment of adenocarcinoma of the prostate. The FDA granted Aliqopa accelerated approval, meaning clinical data suggests it will be beneficial, but further trials will be needed to prove that. In a trial of 104 patients, 59 percent experienced a complete or partial shrinkage of their tumors for a median 12.2 months. Biologics are made from living cells and are therefore difficult to copy with precision. They are called biosimilars, not generics. Bayer has some limited ambitions here, saying earlier that it expects to rack up about $600 million a year, in line with analysts estimates for its peak sales potential. Although the SOLO-2 results showed a “marked delay of tumor progression,” Dr. Kohn said, it’s too early to know whether the maintenance treatment helps patients live longer. The recommendation comes months after the drug’s approval and launch in the United States, where it is sold at a list price of $9,833 for a one-month supply and is marketed as Zejula. It is time for much greater transparency of R&D costs, in as many areas as possible. We should know what companies are spending money on, by disease and product, by stage of development, and on each trial. Emily and I went to Washington, DC. The interview went fine. I got the grant, and that was the beginning of the work that now, 33 years later, has become the story of inherited breast cancer and the beginning of the project that became BRCA1. According to the Society of Gynecologic Oncology, enrollment in phase 3 National Cancer Institute clinical trials designed for gynecologic cancers declined 90 percent from 2011 to 2016. We used data from 36 US cancer registries to estimate relative survival ratios for people diagnosed with cancer from 2006 through 2012 to create the CSI. Rigvir was approved by Latvia in 2004 based on grossly inadequate evidence. The story of Rigvir is the story of an unproven treatment that, because of its origin in a small country, has flown mostly under the radar. Until now, that is. Since the launch of ORCID API 2.0 this February, all ORCID members who have upgraded are able to connect peer review contributions to reviewers' ORCID records. Spotting inconsistencies and patterns in articles using automated tools is promising for correcting the literature and preventing problematic articles from being published. Share Everywhere is a new feature within MyChart, Epic’s free, patient-facing software that lets people use computers and mobile devices to do things like view test results, request prescription refills, and securely send written messages to their primary care physicians.